The Laerdal Suction Unit with Reusable Canister is ideal for first responders who need to clear their patients' airways. To be able to do this, you need a Suction Tube to remove obstructions. 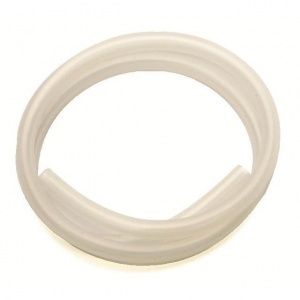 The Suction Tube without Tip for the Laerdal Suction Unit with Reusable Canister is ideal if you only need to replace the Suction Tube and already have an Angled Connector and Catheter Adaptor (if required). Laerdal's Suction Tube is perfect if your current tube has become worn or if you need a spare tube in case of emergencies. The tube is easy to connect to the patient inlet when you need to use the machine. How Do You Use the Laerdal Suction Unit (LSU)? Attach appropriate suction catheter if necessary (please note this is sold separately). Set the operating knob to the required vacuum level and the LSU will automatically be switched on and start to operate. The green power ON indication is lit continuously while the LSU is switched on. When suctioning is complete, set the operating knob to "0". The Suction Tube without Tip for the Laerdal Suction Unit with Reusable Canister will be subject to a delivery time of 3 - 4 working days after the point of order. For more information, contact our Customer Care Team at 020 7501 0593.